Elkagorasa the Casual: Shared Topic: What Locks Bring to the Raid. Shared Topic: What Locks Bring to the Raid. With most guilds putting raiding on the back-burner until Cataclysm drops, ambitious individuals are trying to pug ICC. This leads to interesting creation process, as these ambitious raid leaders are forced to pick between several competent players. Often the deciding factor on who is asked to come along, is based simply on what they bring to the table (as a class). So, I bring for your raiding consideration, Warlocks. Yes, Warlocks can heal. I've mentioned it before, but I've ranked #2 on recount in numerous VOA runs due to my epic healing abilities. A generous lock will even donate a glyph spot to provide 30% improved healing. Sure, if you get into a bind, a lock heals are going to help, but not carry you through. Destruction locks have a fourth tier talent called Soul Leech. Blizzard has already implied that mana will be an issue as we move into Cataclysm raiding. Sure, 1% of 10 people isn't a lot, but it will definitely help out those casters in a pinch. Affliction locks, if they run with their felpuppy, their Intelligence buff now provides mana regen. I hear that the pup is soon on the way out. Our pets minions are not the best DPS monsters. Maybe in Cataclysm, I can just sit back while my minion does all the heavy lifting... Sure, they help were they can, but you can no longer have a VW tank OS. Their biggest help, in some accounts is the buffs they provide to the group. Imp = Raid-wide stamina buff. Who doesn't need a little more health?? A destruction lock's best friend. 5 and 10 man content are going to benefit (the most) from this level 83 spell (assuming 1 lock per party). The lock picks a dps friend and grants them both a 3% haste boost (for 30 minutes). When either person spell crits, you both gain a 3% increase to damage/healing for 7 seconds, stacking 3 times. Imagine a boss fight, where you tag the boomchicken, you both crit in the same fight, so you both cause more damage. Crowd control is going to be BIG! 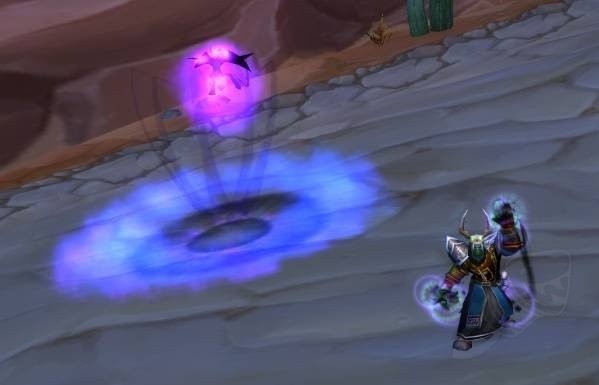 No longer is a tank going to simply round up a bunch of mobs and everyone AOE them down. Who you bring along to keep a group together is going to be key. Locks have 4 basic options available to them to keep your mobs busy. Fear - Fear causes a mob to stop attacking you (at least until someone dots them). With glyphed fear, they don't even run around the room picking up adds. They just cower at your locks feet. I remember going into Shadow Labs, using fear tanking to keep one the party goers busy while guildies burned down the rest of the group. Shadowfury - Nothing beats a blast of shadow damage to stun a group of mobs. BAM! I personally love running up to a flag in AB and dropping this on the fighting. Those alliance that live, are stunned for invading forces. Instant Horde win. Curse of Exhaustion - Level 4 Affliction talent, great for PVP. Slows movement speed of target by 50%. Seduction - Despite her cleft feet and horns, my succubus can still keep a human's attention. Glyphed, will keep those annoying DOTS from breaking her spell. In Cataclysm, look forward to questing underwater. Far, far, far underwater. You know, where the mermaids swim and the naga rule. In the Beta they introduced "sea legs", a underwater breathing buff that allowed anyone to level in that area while underwater. At one point in time, this buff was removed and locks could cast Unending Breath again. (Maybe I wasn't in the right zone?? Maybe it's just the beta and my quests had been reset.) Either way, just holding your breath, may not be a viable option. Pots, locks or that nifty fishing pole. With guild perks coming in Cataclysm, one of those nifty perks will be guild summons. Instantly summon all your guildie raid members to your current location. This is great, if you're not pugging positions in the raid. In Cataclysm, another major change will be you won't be able to use the random dungeon finder for Cata dungeons, unless you've completed the intro quests that get you there. This means the lock closet might be used more than expected. When it comes down to it, locks are a viable member of any 5-man team. Sure, we can't go around handing out Fortitude, but we do a lot more dps than your average priest! :D A destro lock will have out his Imp and give you a good dose of stamina. CC options are available, including a fear + tremor, a stun, a slow and if all else fails seduction. Dark Intent comes available at level 83 from the trainers, so more haste and more damage from your team. Finally, if for nothing else, (shardless) pug-summons. Felpup mana-per-5 gets overwritten by Blessing of Might (now that Wis & Might are in the same blessing). Felpup mana gets overwritten by mage buff, like normal. If you have a mage, a pally, & a druid (GotW = Kings), then going succy isn't horrible buff-wise, actually. For Dark Intent, don't disregard slapping it on a healer instead of a DPS. I'm sure they'd appreciate the buff just as much. "Sure, we can't go around handing out Fortitude," except we can, because it's 165 stam raid-wide, which is the same as Blood Pact. >.> <.< I mean, we can hand it out in party, if what you're saying is we can't hand it out to strangers. Thanks for that Poneria. Glad to have you help straighten me out. 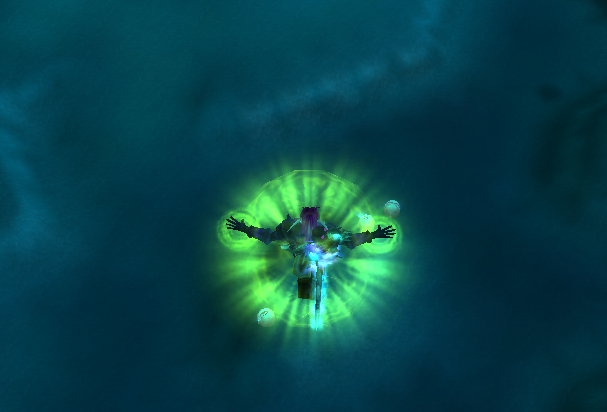 Oh sure, leveling my disc priest alt, I'd love a haste buff. More heals per person. Plus extra crits, mean more bubbles. Now, what is overwriting her 'Fortitude' in BC dungeons?? I was thinking of standing in Org and buffing every lower-level toon I see in town. Even put the spell on a key so I could. Then I thought of my first run in TOC (10-man), where the Imp's buff didn't reach the tank when I stood at my max range. He was relying on the +stam just to stay alive.